Saving the world is more complicated than it looks for Daelin and Earl in M. Pax's The Initiate. This book picks up where The Rifters leaves off. Daelin, an Initiate in the Rifters, must learn lesson number one, if she has a hope to help her sister and their world. Daelin grows a lot in this book, and she's quickly become one of my favorite characters. Earl must atone for his past before he can focus on his future. I enjoyed learning more about Earl. A few more questions are answered and more mysteries abound in this series. Pax has created quite the adventure here, and I can't wait for the next book! For a fast-paced thrilling novel filled with strange creatures, fascinating inventions, and unique characters, look no further than The Initiate by M. Pax. Emma Jane Hellsbane must choose between Heaven, Hell, or something all her making in Paige Cuccaro's Hellsbane Hereafter. I've been a big fan of Emma Jane since reading the prequel novella Commencement. It took me a little while to get into this book since it's been so long since I've read book two, but once I got into it a bit and remembered who was who and the like, I didn't want to put the book down. Emma Jane is strong and pretty badass, but Cuccaro really forces Emma Jane to grow in this last book of the series. We see new characters, old characters, and the return of characters we haven't seen since the prequel novella. My favorite thing about this series is no one seems completely good or evil. There are so many shades of gray, even among angels, the Fallen, and demons. The ending is really perfect for the series as well. I highly recommend Paige Cuccaro's Hellsbane series and Hellsbane Hereafter doesn't disappoint! Andi has longed for the boy next door for years, but can she finally make him fall for her in Rachel Morgan's The Trouble with Faking? Morgan packs some powerful twists and turns into this novel. Andi has been one of my favorite characters of the series. She's quirky and confident and bold on the outside, yet she hides who she is and what she feels from almost everyone, even herself. I wish I could be friends with Andi in real life. She's so cool with her book reviews on YouTube and the stuff she crafts on Etsy. She gets into complicated situations, which almost ruin everything. I enjoyed the sweetness of a school girl crush between her and Damien and loved the interaction between her and Damien's best friend. I love how Morgan has set this series in South Africa where she lives. It's exotic at times and so normal at others. The Trouble with Faking by Rachel Morgan is a great addition to the Trouble series. I'm looking forward to the next book! Deidra's mother screwed up, yet it is Deidra who almost pays the ultimate price in Medeia Sharif's Vitamins and Death. The stigma of being the daughter of a teacher who slept with a student haunts Deidra and follows her mother and her to their new high school. This novel is emotionally hard to read. Many times I wanted to shake or slap Deidra's mom. She needed to woman-up and become an adult for her daughter. Deidra has the potential for a promising future, and I craved that for her. Her growth and how she comes out of her depression is the shining light in this story. I loved her growing relationship with Malcolm too. Children don't have to be their parents, and this book displays that so well. Medeia Sharif has written a heartbreaking, gut-punching, and edgy book. Vitamins and Death is not light, fun reading, but I recommend it. 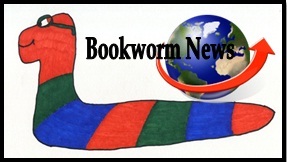 Purchase from Prizm, Amazon – Vendor sites will be updated on the author’s site. Deidra Battle wants nothing more than to be invisible. After her mother, a public school teacher, engages in an embarrassing teacher-student affair at Lincoln High, they relocate to a different neighborhood and school. Being her mother's briefcase, Deidra joins her mother at her new workplace, Hodge High. Since her mother has reverted to her maiden name and changed her appearance, she thinks no one will figure out they're the Battles from recent news and that they're safe. Neither of them is. Hodge brings a fresh set of bullies who discover details about the scandal that changed Deidra's life. Feeling trapped at home with an emotionally abusive, pill-addicted mother and at school with hostile classmates who attempt to assault and blackmail her, Deidra yearns for freedom, even if she has to act out of character and hurt others in the process. Freedom comes at a price. Happy Wednesday! I can't believe the year is almost over already! How did that happen? My December goal to work on Once upon a Nightmare didn't really happen. I should've remembered that December is a very busy work month. But I do have two weeks off from work and hope to come back in January refreshed and ready to get to work on my 2015 goals. Want to know how Foxwick came to be? I'm talking about the inspiration behind the Kingdom of Foxwick on Christine Rains' blog. If you're in the Roanoke, VA area, Liz Long and I will be signing books at Paperback Phoenix on Saturday, December 20 from 1 PM - 3 PM, weather permitting, which at the moment doesn't look quite as promising as I'd like. Once upon a Nightmare: A Collection - I hope to publish the second edition of this collection by March. It might take me a little more time to get the money for the new cover, which is why it might take longer to publish. Marked - Originally titled Remarked, I hope to start back to writing this novella told from Liam's POV in January. Are you ready for the new year? What are your January goals? Due to the upcoming holidays, this is my last post for this year. Look for my next post on January 7, 2015. 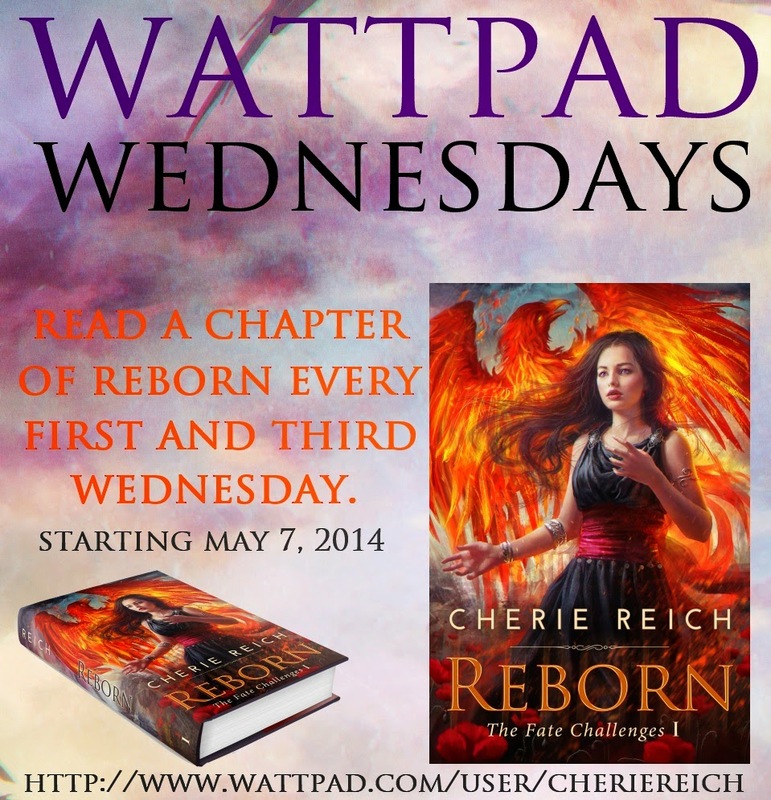 It's time for another chapter of Reborn to go up on Wattpad. You can read from the beginning here or read Chapter Fifteen here. You read some great books this month! Good luck with the signing on Saturday. Great reviews. I loved Mary's book too. I think we all forget how busy December is! Good luck with Nightmare and Marked. My January goals: market, promo, market, promo, and hopefully if I get a new EC editor, revise. Yikes! I'm actually reading VITAMINS AND DEATH, right now. So good! Happy for Medeia. Just and FYI: I'll be releasing my Writer's Rebel Creed 2015 on Monday, if you're interested. Thanks for all the reviews, Cherie. I'm so jealous of your two weeks off! Congrats on the release of The People of Foxwick and Their Neighbors. The cover is gorgeous! December is very busy, especially for the day job. I'm happy you will have two weeks off from yours! I hope this gives you some added time to meet some of your goals. Vitamins and Death sounds epic. I still have to read Attic of Sands and Secret which I'm hoping to do over the Christmas break. Great reviews! So many good books came out this month. It's so hard to keep up! Looks like you got a lot of reading done! It's so hard for me to keep up with all of the books being released. Good luck with your upcoming goals! All the books you read sound good. Glad you're taking a little break for the holidays. I know you'll be super productive like you always are in January. Have a wonderful holiday break and see you in January! Thank you for the awesome review! I already have fans poking at me for #3. I better get cranking. I didn't get near as far in Precipice as I wanted, but at least it's moving again. Thank you for reviewing my book. :) I'd like to read the rest of the books you reviewed. They sound wonderful. You've been reading quite a bit Cherie. I think I'd get more reviews written if I'd just write a paragraph instead of sticking with a formula. Enjoy the holidays! Thank you so much for the review of THE TROUBLE WITH FAKING! Good luck with your new year targets, Cherie. You have achieved so much this year so don't beat yourself up about missing a couple of targets. I have no doubt you will reach them soon. Have a wonderful Christmas and I wish you great success in 2015. All the best. You've read a lot of awesome books. Perfect choices. I wanted to wish you a Merry Christmas and a very happy New Year! Wishing you all the best for 2015. Loved reading your reviews - especially for Medeia and M. Pax's books. They sound really good. I just one-clicked Vitamins and Death. You made it sound intriguing. Vitamins and Death sounds really intense and worth a read. M Pax's book too. That's quite a list! Congrats on doing all of that. What a list! Congratulations! Wishing you a very Merry Christmas and a Happy New Year! Congratulations! Wishing you a very Merry Christmas and a happy prosperous New Year! Perhaps save the title Remarked for a sequel? Keep up the good work, Cherie. 2014 has been a busy one for you. Happy New Year! Good achievements and goals. Nice variety of reviews. I've read The Rifters and look forward to the rest of the series. All the best for 2015! Happy New Year to you and your family, Cherie! What a great year for you Cherie. Happy New Year and wishing you all the best for 2015!